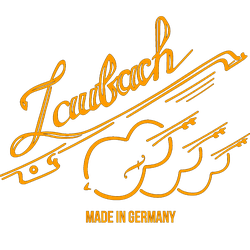 At Laubach Shop we supply an extensive range of Double Bass Strings, for all budgets and to suit the needs of musicians from the absolute beginner through to the professional Double Bass player. 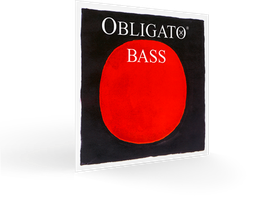 Our Double Bass Strings are available for all playing styles -from the classical bowing orchestral repertoire with strings providing a full dynamic range of tones, through to strings designed and developed with pizzicato playing styles in mind, suitable for Rockabilly, Bluegrass and Jazz. 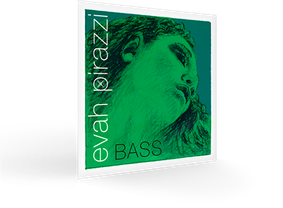 Warm rich, sonorous tone quality. A wide range of sounds and complex tone. Nearly no playing in time, perfect tuning stability. 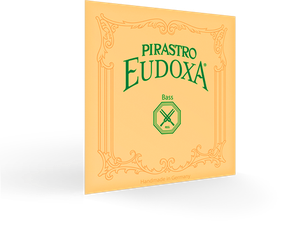 Eudoxa strings provide a warm and complex tone. Brilliant, beautiful, rich and noble sound. Powerful volume, quick response, and long life. 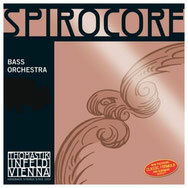 Spircore Double Bass strings have a full and balanced sound and are particularly popular with jazz players. Warm tone with excellent resonance. Settles quickly, excpetional tuning stability. 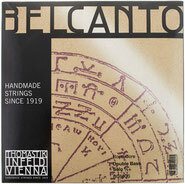 Best selling strings with a full and mellow sound. Excellent response and tuning stability. Warm gut like tone with an excellent reputation worldwide. 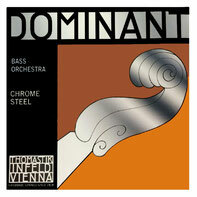 Dominant strings should be changed at appropriate intervals to ensure continuity of tone colour. 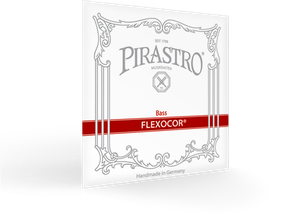 Helicore Double Bass strings are constructed from premium quality materials combined with skilled workmanship, producing strings known for excellent pitch stability and longevity. These are multi stranded steel core strings. Helicore Orchestra - excellent for all orchestral, arco use but also work very well for pizzicato where a warm, less sustaining sound is desired. 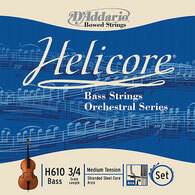 Helicore Pizzicato - a brighter tone quality than the rest of the Helicore bass range. Damping is reduced to create maximum sustain. Helicore Hybrid - Damping is optimised to create a good balance between pizzicato sustain and bow response, suitable for a wide range of playing styles from symphonic to jazz to bluegrass. Helicore Solo - Damping is optimised for arco use. 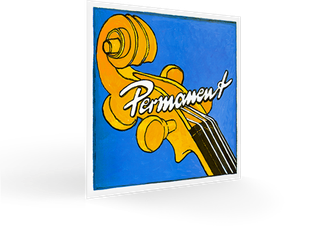 Tension adjusted specifically for A, E, B , F# scordatura solo tuning. 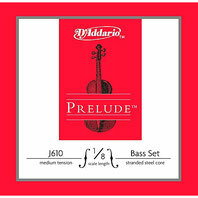 Prelude Double bass strings from D'Addario are an economical and durable solid steel core string. 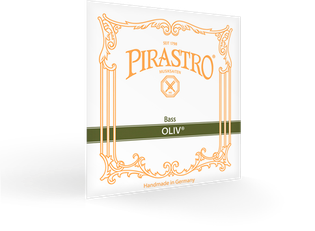 Prelude Double Bass strings have a clear and warm tone quality. 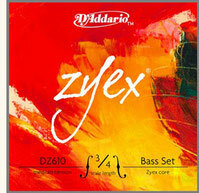 Zyex Double Bass strings, from D'Addario, have a warmer sound than most other synthetic core strings. Tungsten Wound Corelli Double Bass strings. These strings are the result of Corelli's innovating techniques in both the composition and winding process. 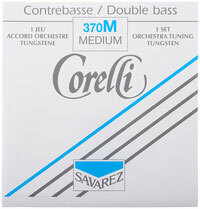 Corelli's tungsten Double Bass strings have a thinner gauge and so are flexible and easy to play. Excellent tuning.